Dear Mr. Hanks: First of all: Big fan. I'm so glad you are the one tapped to play Mister Rogers in the new film about his relationship with a cynical journalist who learned a lot about life from him. It sounds like a plum role, and I'm sure you're going to act the heck out of it, given your acting resume. You're very talented, and I have no doubt you will do a good job. That being said, I have some things that I need to say about your new job recreating Mr. Fred Rogers, and I hope you will take the time to read this, because it is truly coming from the heart. Mr Hanks, we need this. If you haven't noticed, the country is pretty stressed out right now. Between the current political climate, and the actual climate, and the news every day, which makes us want to hide under the couch and frantically wave a white flag of surrender, we have a lot going on, all of which has us sweating through our clothes and holding back tears of either frustration or despair, and the concept of a movie about the most beloved man ever to grace the television with his presence is exactly what we need. So please, Mr. Hanks, please. Please don't screw this up. Mister Rogers is a national treasure. For those of us in our 30s and 40s, he was the one who calmed us, who reassured us, who loved us without asking anything in return. He was the one who greeted us with his sweater (did you know that his mother knitted all those sweaters? My heart!) and sneakers and introduced us to the Land Of Make Believe. He showed us how trombones and crayons were made on Picture Picture, and most of all, most importantly, he showed us unconditional love. When Mister Rogers told us we were his neighbor, we believed it in a millisecond, without hesitation. 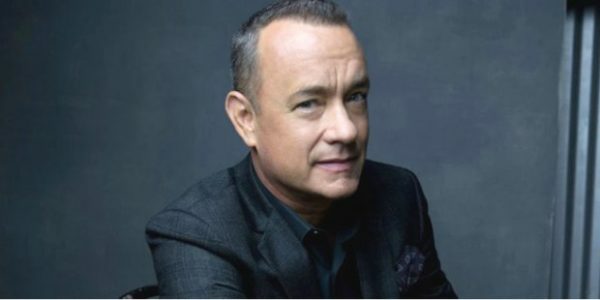 Mr. Hanks, he meant so much to us. Please, please, do this the right way. We will be beyond devastated if you don't. Mr. Hanks, Fred Rogers was our friend. He personified kindness, In interviews, he was the same as he was on his show. When 9/11 happened, he shared the story of his mother, who always said that in times of crisis to "look for the helpers." That calmed us. That comforted us. He always knew what to say and do when we needed it the most. Fred Rogers was our friend, and we love him so fiercely that a portrayal of him that is not 1000% full of love and reverence would destroy us. Mr. Hanks, please don't mess this up. We are putting our hearts in your hands. We are trusting you. Please use your undeniable talent to bring our friend to the screen the way he deserves. Please, Mr. Hanks. Won't you be our neighbor?